The answer may be to rely on your own intuition. Maybe you’re having trouble communicating with your children. Maybe you’re fighting unresolved conflict such as with your mother, your spouse or even yourself. Or maybe you’re experiencing a health issue that’s not responding to traditional medicine. If you can relate to any of those situations, then consider my heart-centered approach to intuitive coaching as a way to live better, happier, and healthier. I can help you build a healing bridge to your heart. Clients say that I bring them peace of mind. I honour their privacy, allowing them to feel free to discover their inner selves. While I challenge people to reach inside their hearts and minds, I don’t intimidate them. People leave my sessions smiling! She is also one of the finest human beings, blessed with a deeply compassionate and intuitive soul. She loves easily and with grace. – Caroline Myss, Ph.D. Whether you are someone who needs help, an event planner looking for a keynote speaker or business manager looking for a team bonding coach and facilitator, I offer various ways for you to experience intuitive energy coaching through keynotes, workshops, group coaching, private coaching and business team coaching. Prepare to be let your events' audience be challenged by Intuitive Coaching! Enrich your gathering with one of my keynotes incorporating the principles and benefits of heart-centred intuitive coaching. Delivered with warmth and genuine caring, I promise to inspire and motivate. Learn about yourself through others. By making everyone feel at home and engaged, I turn group and team coaching sessions into fun, lively and welcoming sessions. That allows me to feature an issue based on a real-life examples so I can facilitate the session more effectively. You are my ‘number one’ priority. So you’re ready to learn more about the powers of your own intuition to harness the power within you to heal. Now it’s time to build a healing bridge that takes you down your path to self esteem and peace of mind. 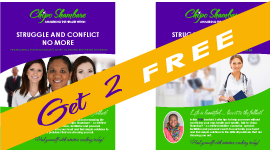 Discover the power of intuitive coaching now.